As marketers, we often tend to have a different perspective from the general community when it comes to admiring brands and the efforts they make to get us to purchase. Scrutinising, sceptical, often seeing the blatant transparency to sell, we are usually the first ones to comment when a brand has a crazy idea that just doesn’t work, or have executed something poorly. Many times though, brands do get it right. Managing to market their product or service and create a powerful brand with many loyal followers. So, it’s over to my favourite brand to help demonstrate when it all just works – The Fifth Watches. And just what can we can learn from their success? Why are they so great at marketing? 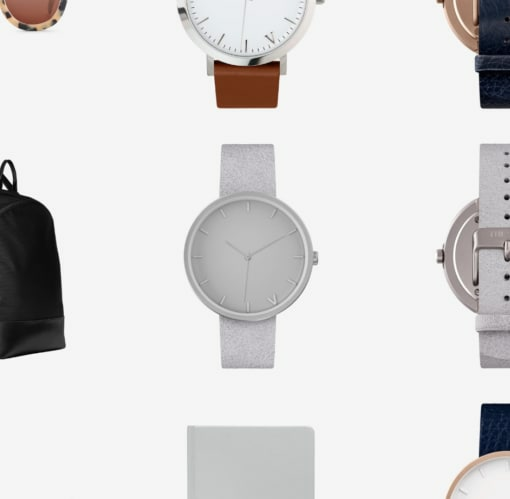 The Fifth Watches sell an exclusive line of minimalistic watches, sunglasses and bags. So, what’s special about that? Well, they are only released on the 5th day of every month, for five days. Due to this unique business model, it means that they often sell out of their products quickly, which is why signing up for a free VIP membership is so important. More and more, brands are struggling to get their customers to sign up for memberships, even if it is free, due to the fear of getting unwanted spam emails. Joining the ‘5th fam’ as a VIP member, gains the customer early access to the entire collection, and exclusive access to the new collection. The Fifth have also managed to successfully portray their products as exclusive, yet affordable. There’s something about things that we want, but can’t have, that is extremely desirable to consumers. There is a fine line between exclusivity and unattainability. The Fifth’s products are a blend of modern and minimalistic design inspired from all parts of the world, but what makes them truly successful is their strong brand aesthetic. I first discovered this brand on Instagram (@the5thwatches) a few years ago, and they now have over 400k followers. Their social media presence is driven mainly by organic growth, as their customer’s play a huge role in sharing personal stories on Instagram. These stories are often shared by high profile bloggers and travel influencers which have large followings. Each story is captured through images which are then shared on The Fifth’s Instagram. The type of content they use on social media is not only aesthetically pleasing, but is also aligned with their brand values. The brand represents a fashion and travel lifestyle which customers aspire to. The Fifth describes their brand as a fashion lifestyle brand which focuses on delivering stylishly executed products, designed to make you want and get more out of life. I think one of the reasons for their popularity is that people can resonate with their core brand value – “Time is what we make it”. They have done an exceptional job of leading their customers to believe that by buying their products, they too can adopt this lifestyle of wanderlust and freedom. This has been achieved through the use of storytelling and compelling videos which portray the product in various lifestyles across the globe. The brand also adds a personal touch by making each experience unique to the customer. All good marketing stuff, right? I think so. And these are just three things that marketers can learn from this brand. You gotta start somewhere though – if you want to talk marketing strategies for your business, get in touch.